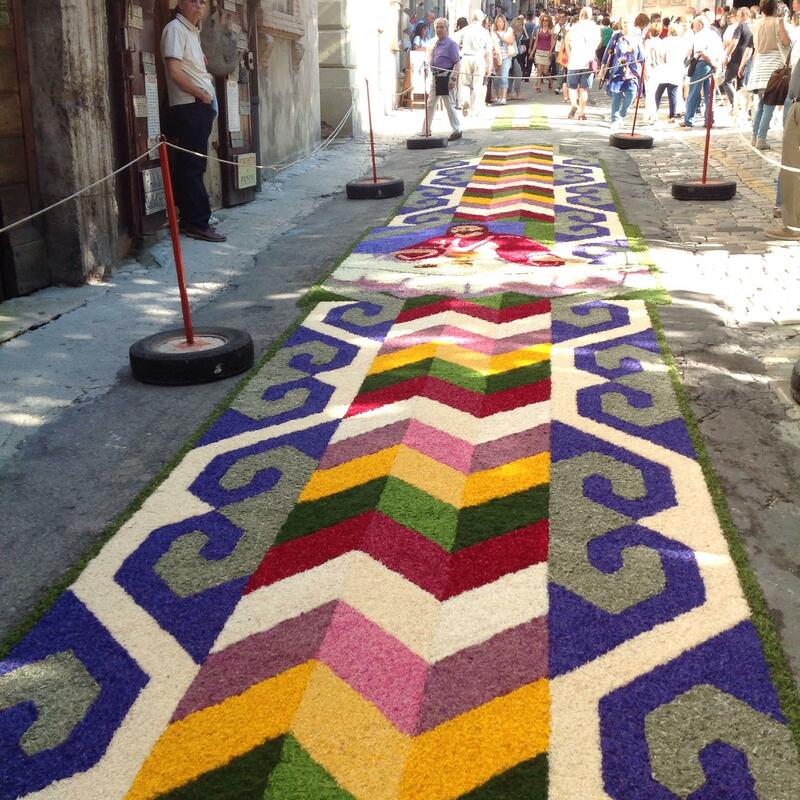 We’re always on the look out for rag rug design inspiration and it doesn’t get much better than the Spello Infiorati in Italy. 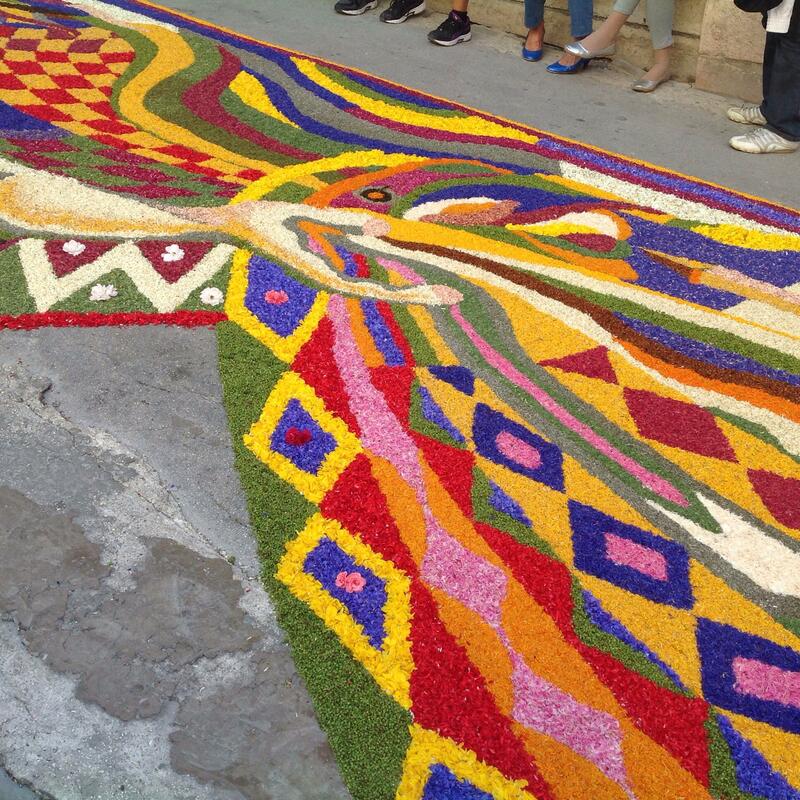 Every year the inhabitants of this beautiful Italian town line the streets with art made entirely of flowers. 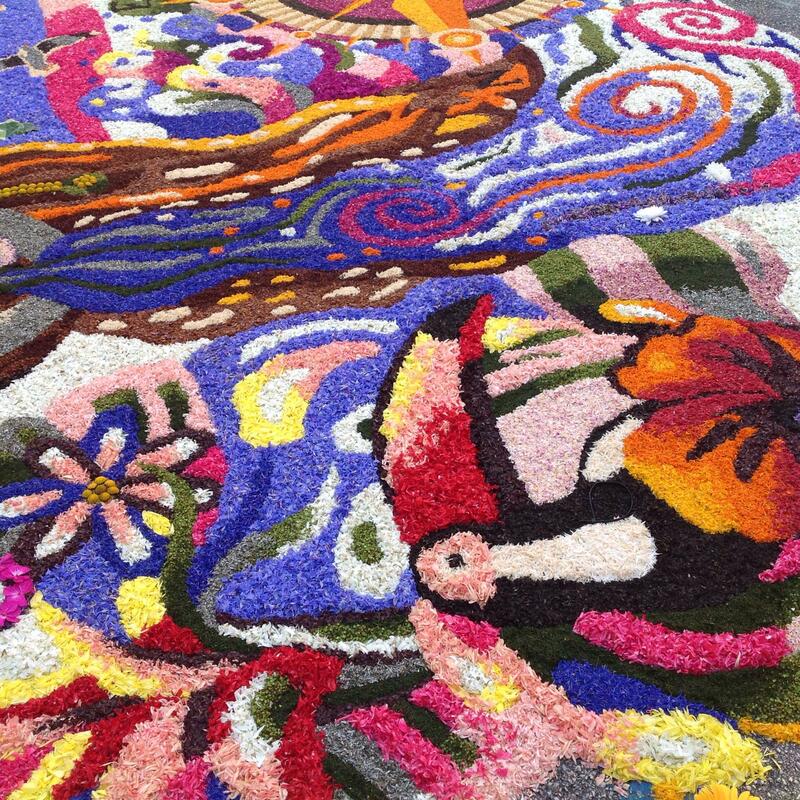 With over a hundred pieces throughout the town, every type of flower under the sun and a rainbow pallet of colours it really is a sight to behold. What really lends the event a true buzz is that the locals really get involved. 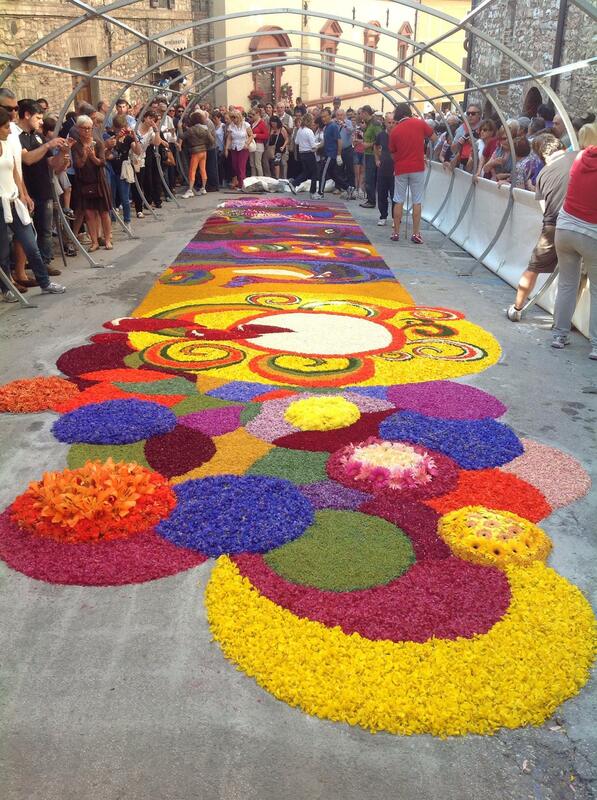 Whether local school children, gorgeous tanned youths or the carabinieri police force, everyone mucks in. 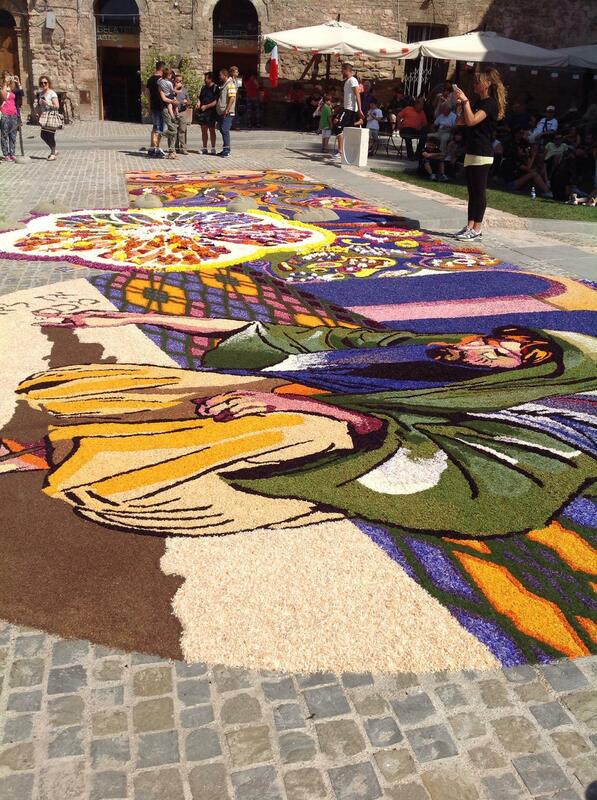 Below we’ve included a few of our favourite pieces from the Spello Infiorati – we hope they inspire you like they did us! 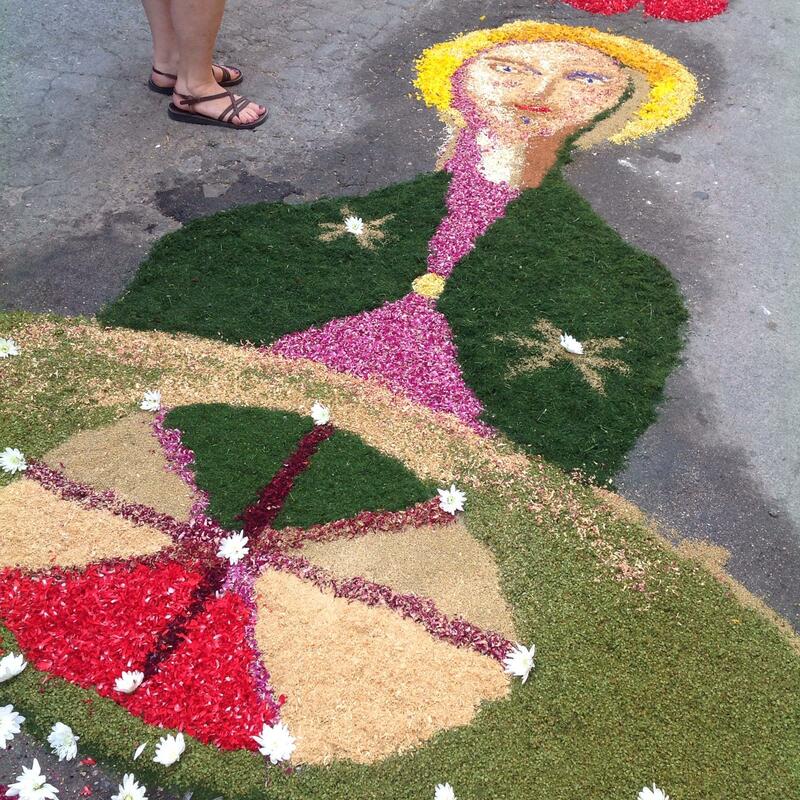 This entry was posted in Inspiration, Travel Inspiration and tagged 2014, Flowers, Italy, Travel Inspiration. Bookmark the permalink.